Django was first released in 2005 and since then a lot has changed in web development, notably the predominant pattern at the time of using username/email/password has been simplified to just email/password. However due to legacy reasons around the built-in Django User model it can take a few extra steps to implement this change in practice. 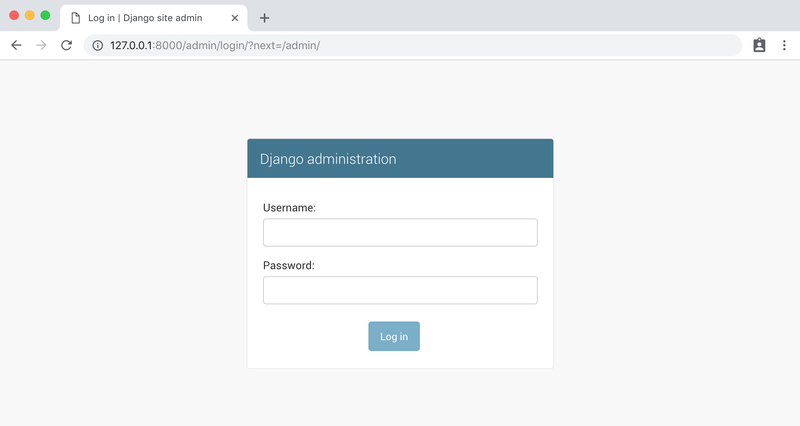 In this tutorial we’ll walk through how to implement email and password only for sign up and log in on a new Django project. You can find the official source code here. I’ll assume you know how to start and install a new Django project using Pipenv. If not, please see here for additional help. On the command line, create a new directory for our code called code (it can live anywhere on your computer but we’ll use the Desktop as I’m on a Mac). Then install Django, start the virtual environment with shell, and create a new project. (code) $ django-admin startproject emaillogin_project . Ok, we could just jump into it here but I’m done, done, done with writing any more Django tutorials that don’t use a custom user model upfront. So, let’s configure a custom user model before running migrate for the first time. I wrote about this in length over here so I’m just going to give the commands in this post. Create a new users/forms.py file and then fill it with the following code. Now make a migrations file, migrate the database the first time, and create a superuser so we can access the admin. 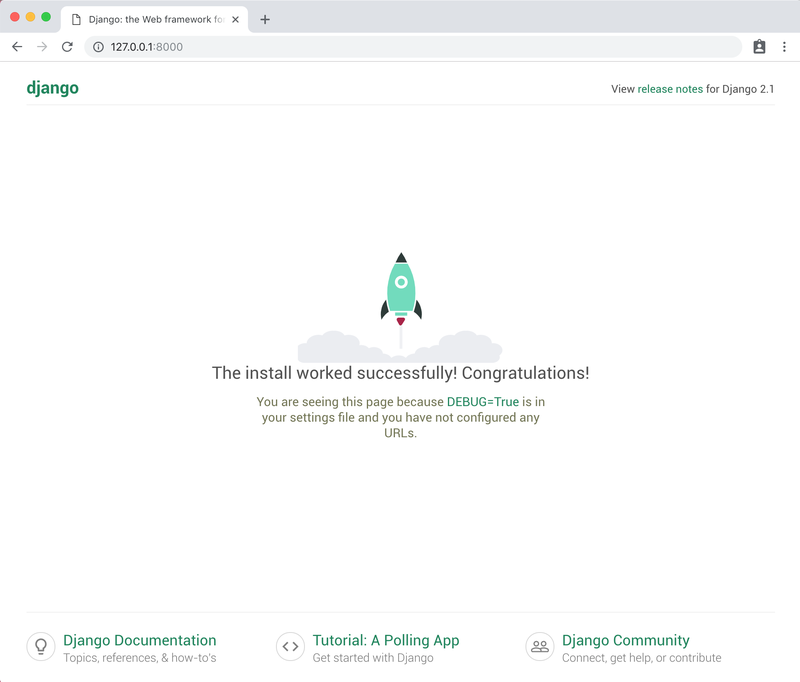 The local server is now running so you can visit both http://127.0.0.1:8000 for the Django welcome page and also http://127.0.0.1:8000/admin to log in with our new superuser account. Make sure to log out of the admin at this point. Why? Because if you don’t then Django will automatically send all future URL requests to /accounts/profile/ and future stuff won’t work. We will configure this properly later on but for now, just make sure you’re logged out or stuff will break. Django does not come with built-in views, urls, and templates for a sign up page. So while we can roll our own a better approach–and the current default for many professionals–is to use the django-allauth package instead. Install it with Pipenv making sure you’ve used Control+c to stop the local server. Add it to our INSTALLED_APPS setting and add Django’s optional sites framework which django-allauth uses. Ok, here’s where the magic happens. django-allauth has a lengthy list of configuration options. Here’s what we need. Add this at the bottom of our emaillogin_project/settings.py file. Now run migrate since we’ve updated our INSTALLED_APPS. We need to tell Django where to put our fancy django-allauth config so let’s use the accounts/ path. If you start up the local server now with python manage.py runserver you can navigate to our working log in page at http://127.0.0.1:8000/accounts/login/. Now take a look at the sign up page at http://127.0.0.1:8000/accounts/signup/. Time to configure our templates so things look better. django-allauth uses templates in an account folder so we’ll override its defaults there. Create a project-level templates folder and then account within it. Now tell Django to look here so update the TEMPLATES config within settings.py. And make our log in and sign up templates. Ok here’s the code for each. Here is the new log in page. And the new sign up page. But are we done? Haha, of course not. If you try out the forms you’ll see they result in error pages. Why? We need to tell Django where to redirect our user after they log in and sign up. Both reference a template with the named URL of home so we’ll need to create that homepage now. I like to create a dedicated pages app for all static pages in my Django projects. Let’s blast through that quickly which means also adding a new template, view, and url. Here we go…make sure to stop the local server with Control+c. Add the new pages app to our INSTALLED_APPS. Add it to our emaillogin_project/urls.py file. Update the views file for it. Now we can make our homepage template which will tell us if a user is logged in or not and provide helpful links. Create the templates/home.html file and add some basic logic for if the user is logged in or not. Be careful not to put this within the templates/account directory, this is just in templates itself. Phew! Done. 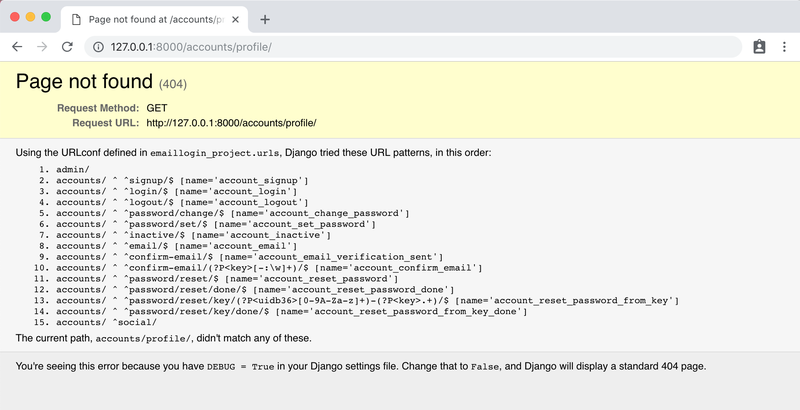 Make sure you are logged out which you can confirm by heading over quickly to the Django admin http://127.0.0.1:8000/admin. The “Log out” link is in the upper right corner. Now go to our snazzy new homepage at http://127.0.0.1:8000/. If you click on “Log in” and use your superuser account it will redirect back to the homepage. Here’s what mine looks like. Now click on the “Log out” link and then try the “Sign up” link. I’ve created a new user account called testuser@email.com. Upon signing up I’m redirected back to the homepage. If you’d like to see a more full-featured Django starter project, check out DjangoX which includes even more goodies.